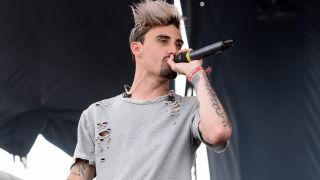 Last week, it was reported that We Came As Romans frontman Kyle Pavone had died at the age of 28. The news was confirmed in a statement last week, with his bandmates saying they were devastated at the news. Now the cause of Pavone’s death has been revealed by the band on their Twitter account, where they also say they have set up a foundation in the vocalist’s honour. The statement reads: “On Saturday, August 25, we lost our son, our brother, our best friend and our bandmate to an accidental overdose. “The opposite of addiction is connection. If you are feeling disconnected or lost, there is help. Please take action, whether that is talking to your families and friends, meeting a counsellor or joining a support group. “If you are a friend or family member of someone who is struggling, do not be silent! If you are an artist in need of support through your struggle, we have created the Kyle Pavone Foundation in Kyle’s honour to help. We Came As Romans released their fifth album Cold Like War in November last year, while further details of the Detroit event will be revealed in due course.